Daryl Clark insists the new faces at Warrington this year have given the club the confidence boost it needed. Steve Price took the helm at the Wolves at the start of the year after Tony Smith parted ways with the club following their relegation scare last season. Ex-London Broncos coach Andrew Henderson also joined Warrington as Price’s assistant and Clark believes the pair have played a massive factor in why they have reached the Challenge Cup final and Super League Grand Final just a year after they finished in The Qualifiers. “I think the team as a whole – me included – were lacking a bit of confidence last year after the way we started,” Clark told loverugbyleague.com. “I think we lost seven from seven and we never got our confidence back. We struggled throughout the year and I think the place just needed a few new faces in and I think that fresh blood around the place has done us the world of good. “Pricey got us playing with confidence again and playing with a smile on our face and that seems to be working so far. A good team is a happy team and I feel that we have been like that for most of the year. The Wolves face local rivals Wigan Warriors in the 2018 Super League Grand Final at Old Trafford on Saturday. 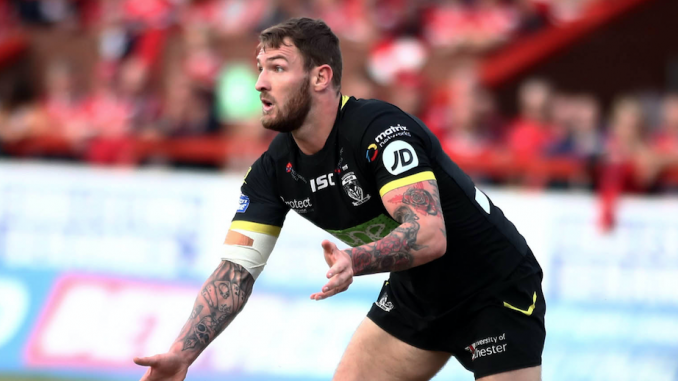 Clark played in Warrington’s 2016 Grand Final defeat to Wigan – and even though he is happy to take the underdogs tag again, he believes they can create history. “It would be a bit of history that would stick with you forever,” he added. “It is something that nobody will be able to take away from you. To be involved in the first Warrington team to do that would be pretty special. “We are underdogs – but it is the biggest game of the year, so I don’t think any previous results or form really matters on the big stage.